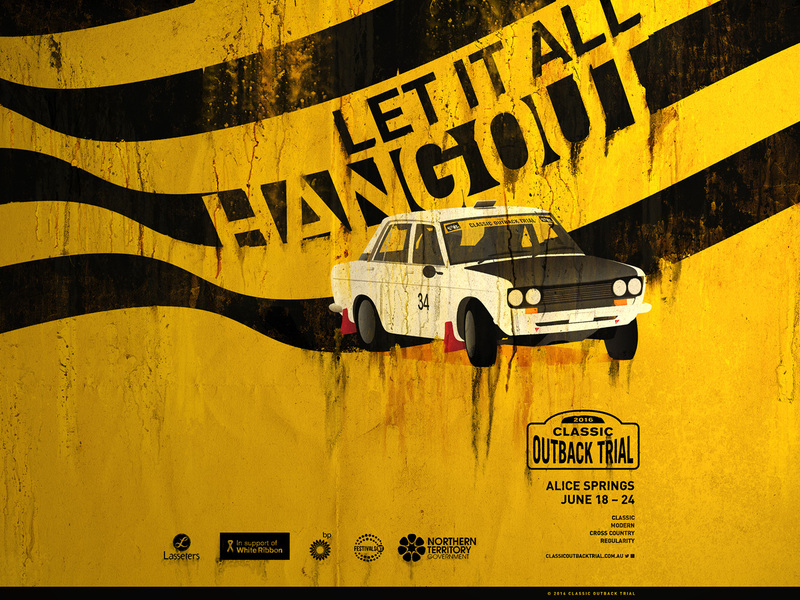 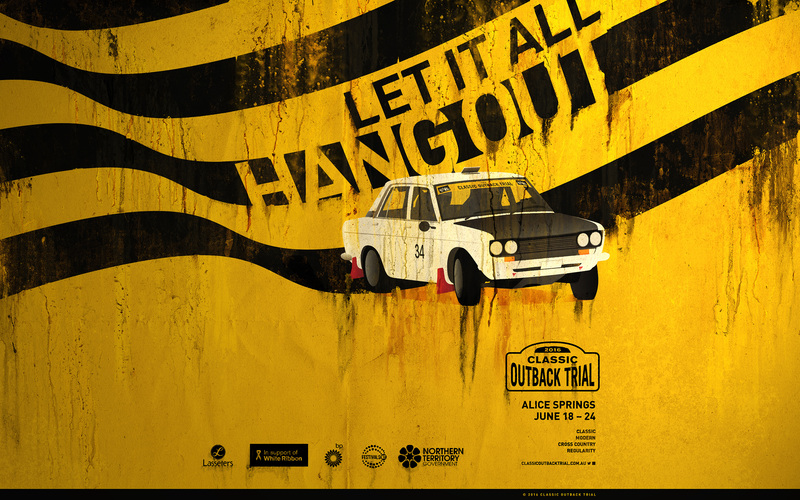 Our final installment for COT16 – a wallpaper to take you through to the event and then beyond. 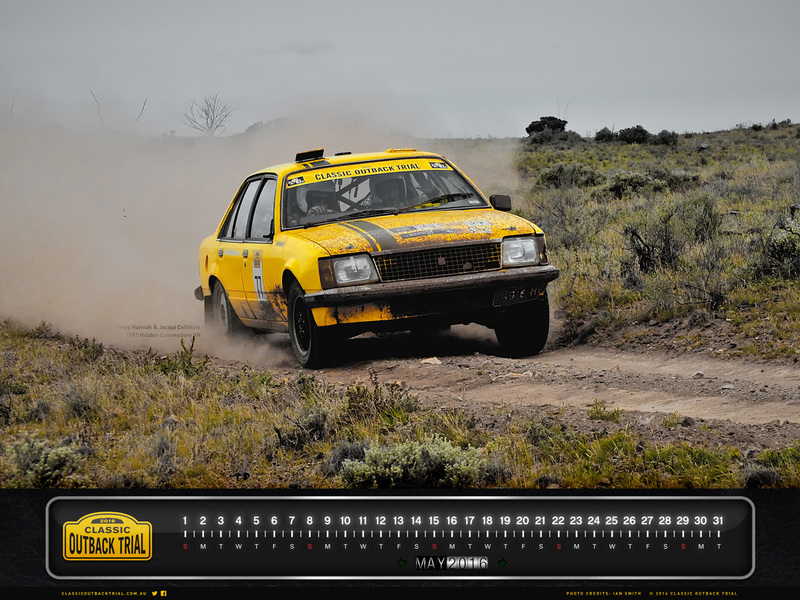 Maybe even all the way to COT18? 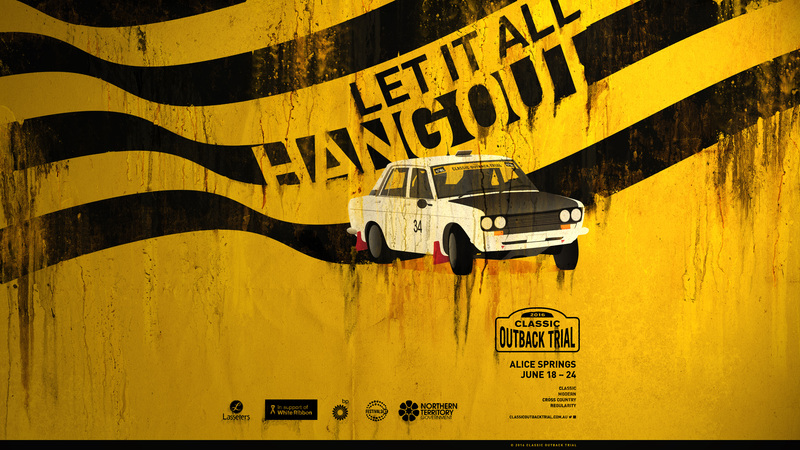 The final wallpaper features the COT16 poster, but given a new treatment by COT creative director Antony Bernadou. 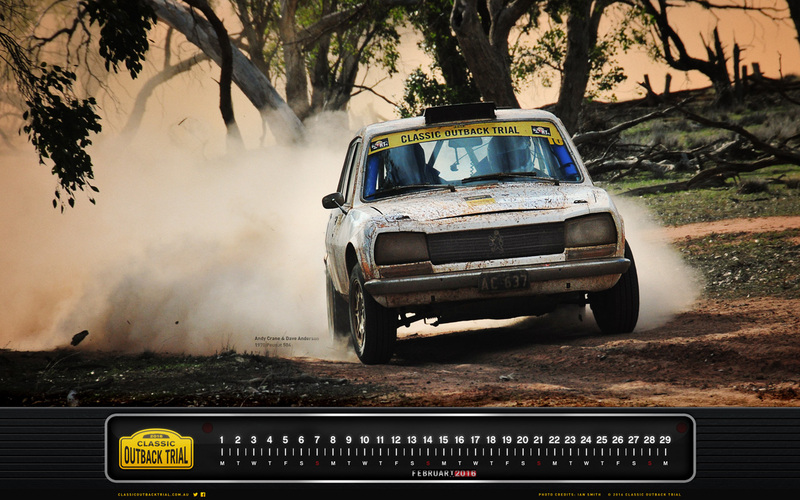 The COT16 May wallpaper/calendar features Greg Hannah and Jacqui Collihole in the yellow VH Holden Commodore. 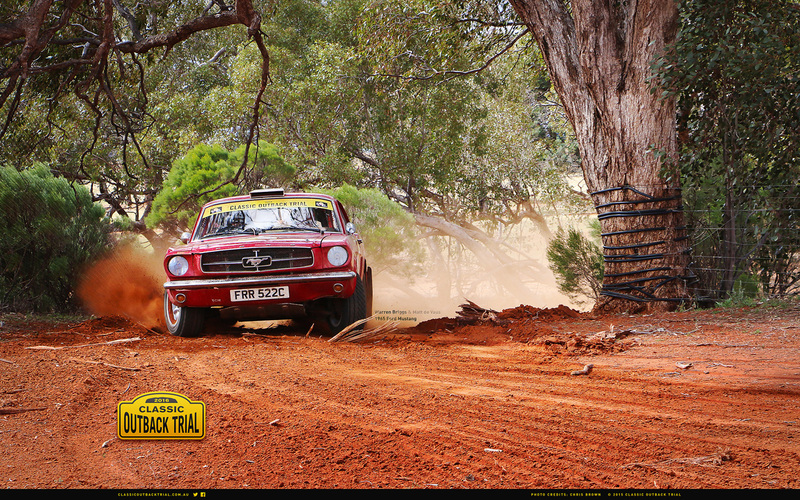 This shot is from day 4 of COT 2014, on Farmcote, the last stage before Broken Hill. 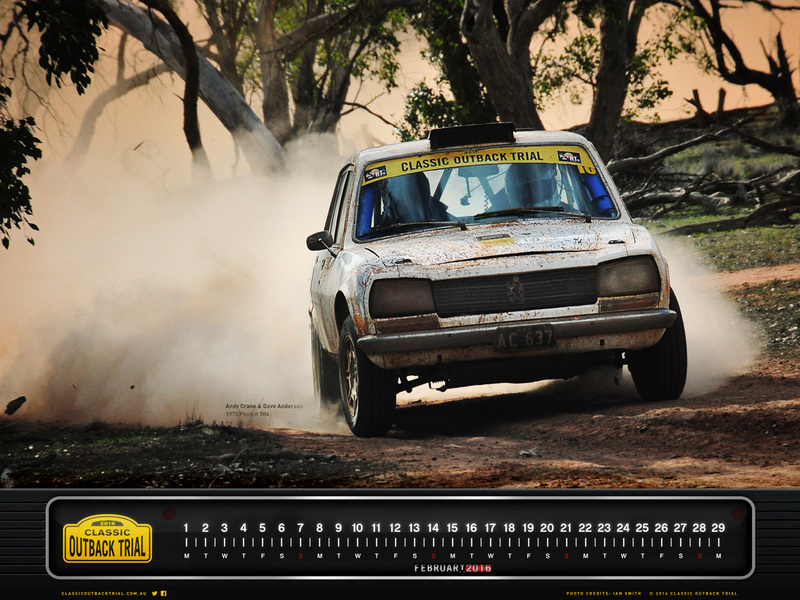 Photo by Ian Smith; creative by Antony Bernadou. 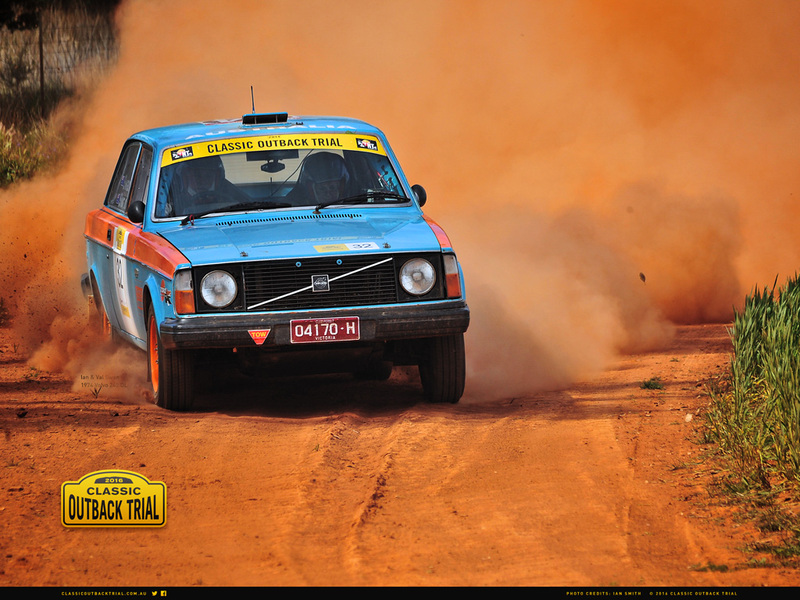 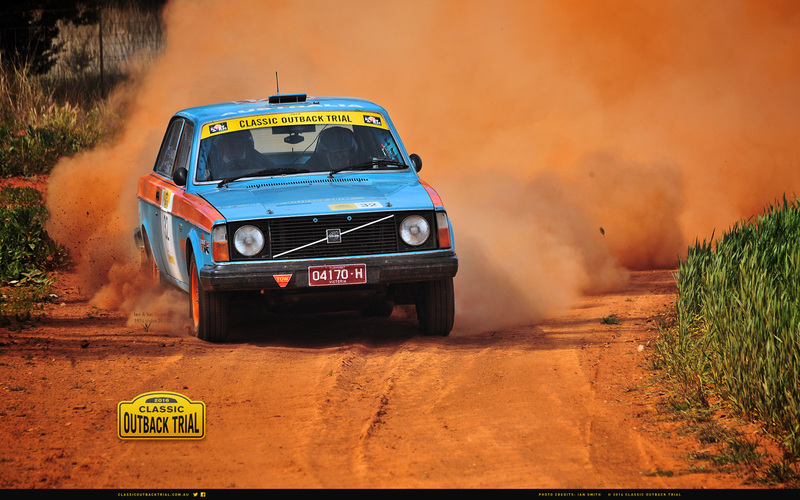 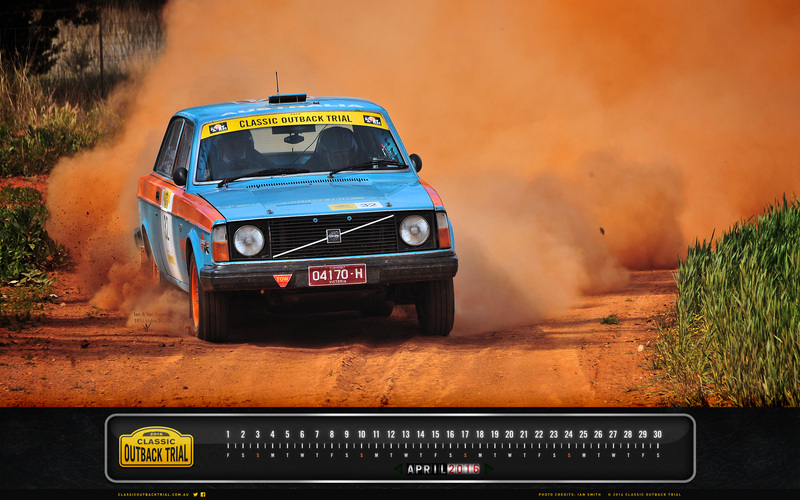 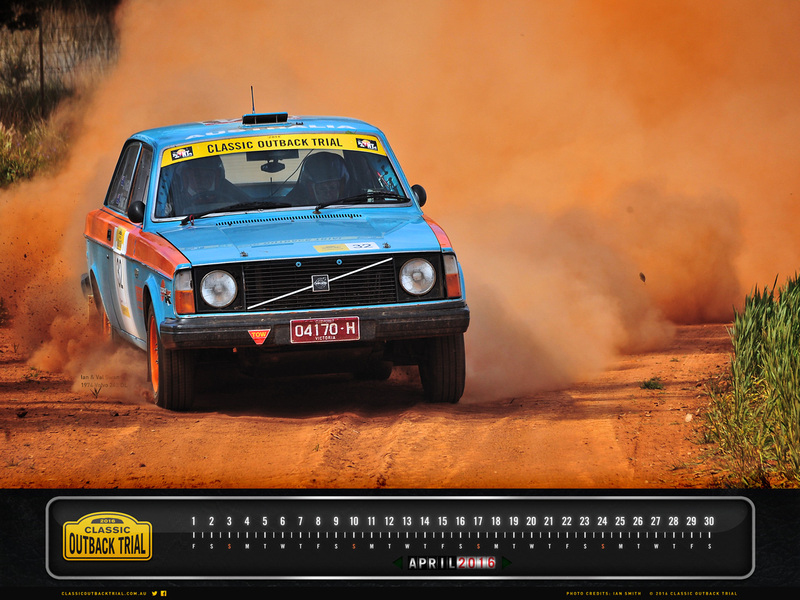 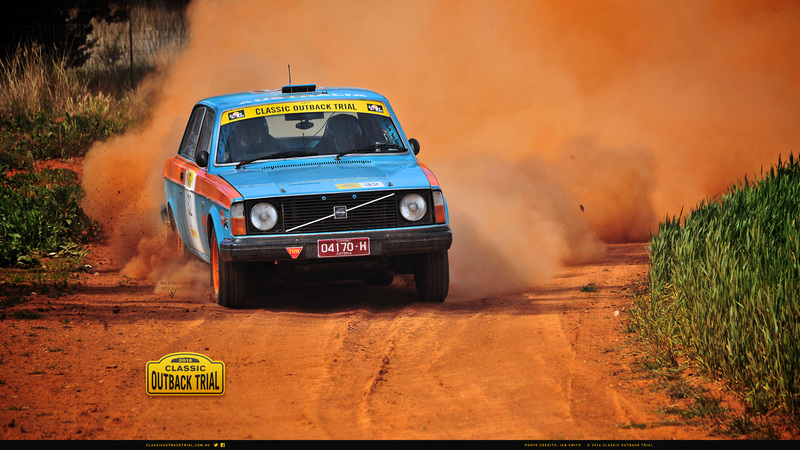 The COT16 April wallpaper/calendar features Ian and Val Swan in their Volvo 242. 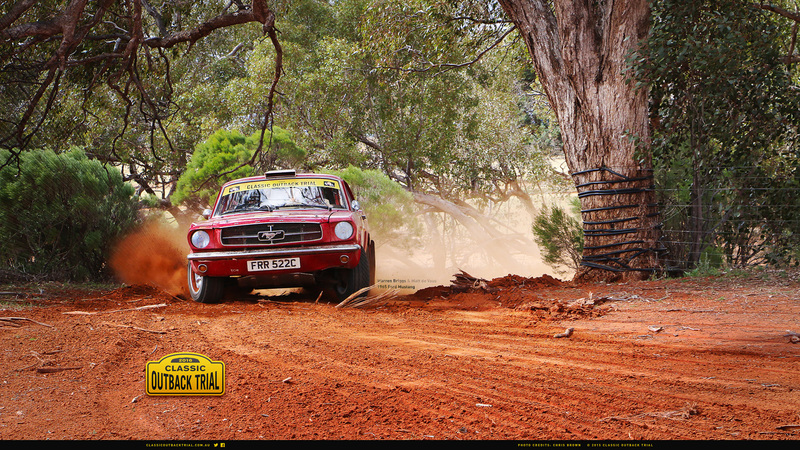 This shot was from day 2 and the longest stage in COT 2014 – Wonganong. 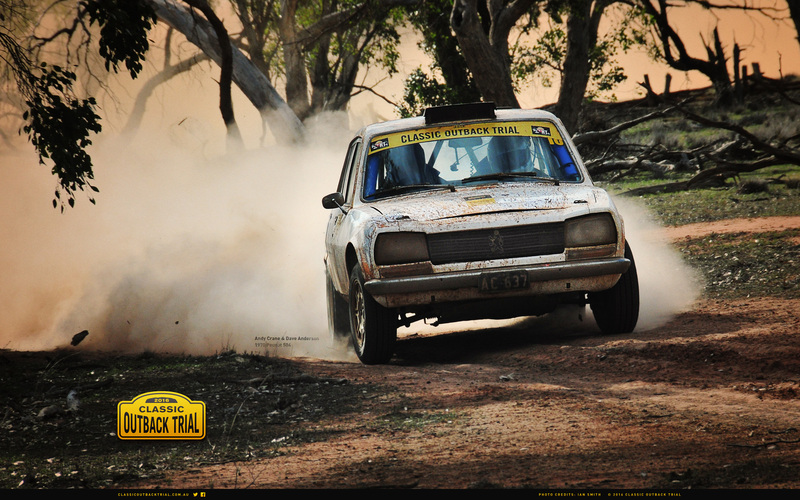 The Swans flew on Wonganong, coming in 3rd quickest behind Neil Cuthbert/Ross Runnalls and Andrew Travis/David Travis. 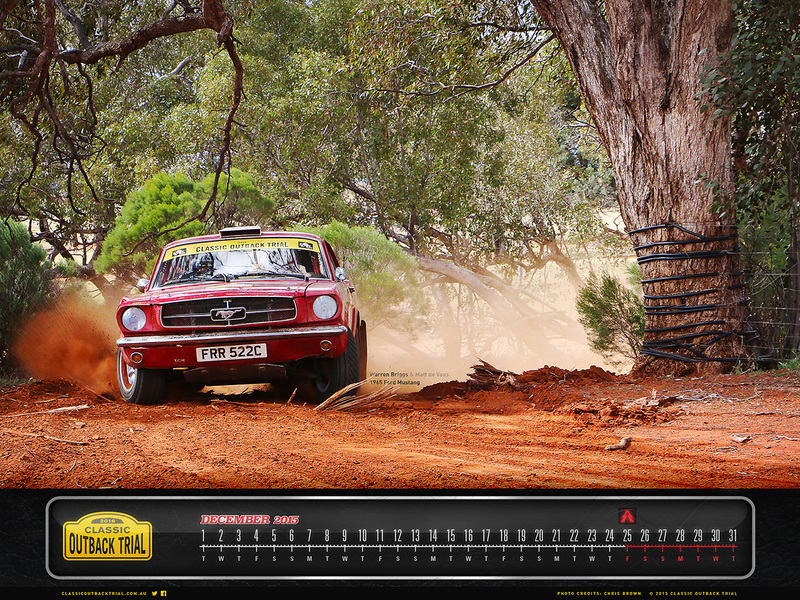 Photo by Ian Smith; creative by Antony Bernadou. 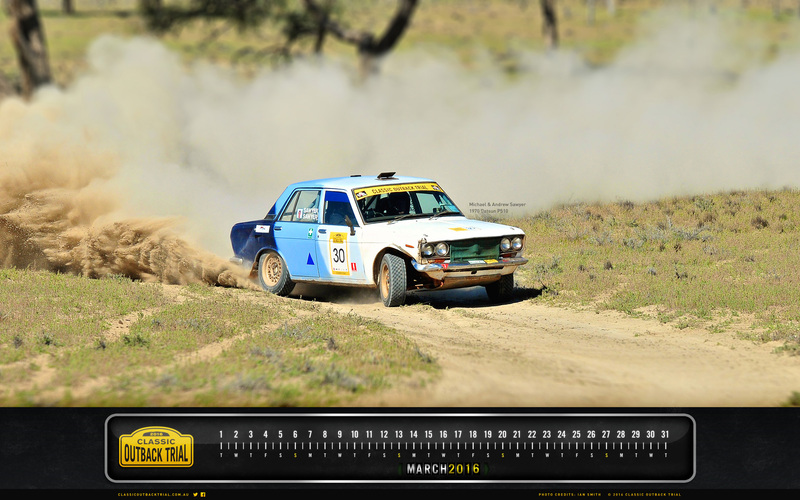 March features brothers, Michael and Andrew Sawyer in their Datsun 1600. 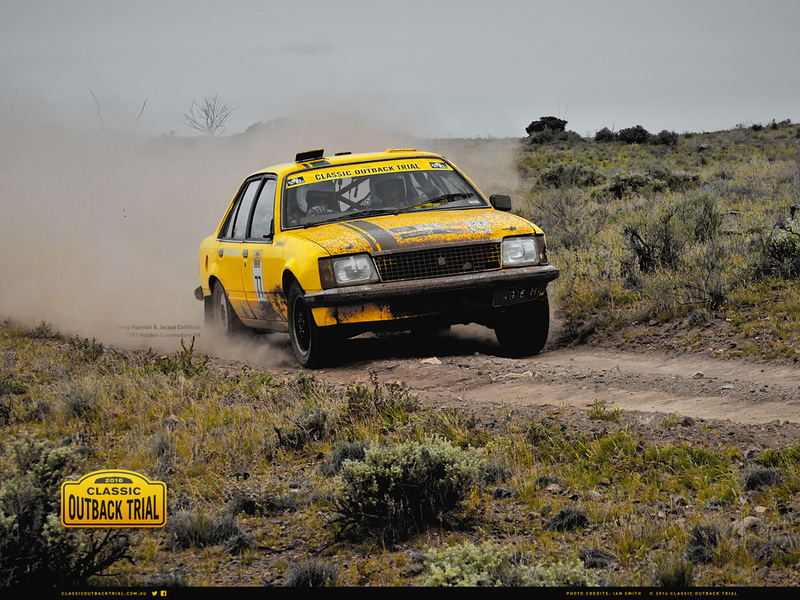 The Sawyers were flying on day 6 of COT 2014 and pushing hard for a podium finish. Unfortunately, their run ended a couple of stages after this shot was taken when a heavy landing put the fan into the radiator. 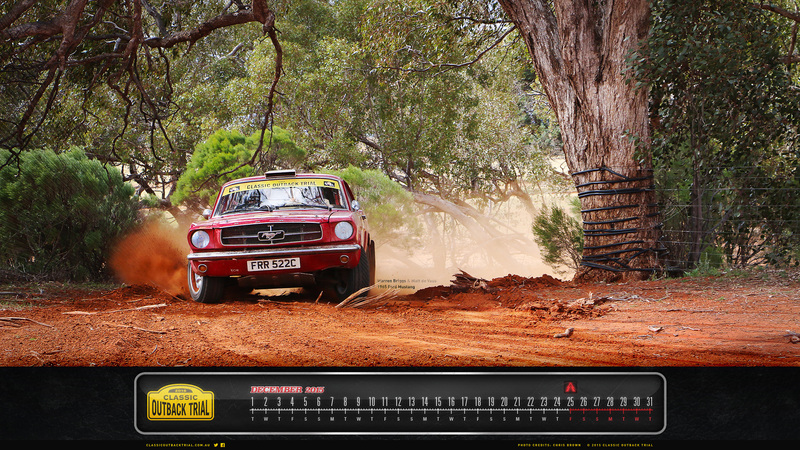 Photo by Ian Smith; creative by Antony Bernadou. 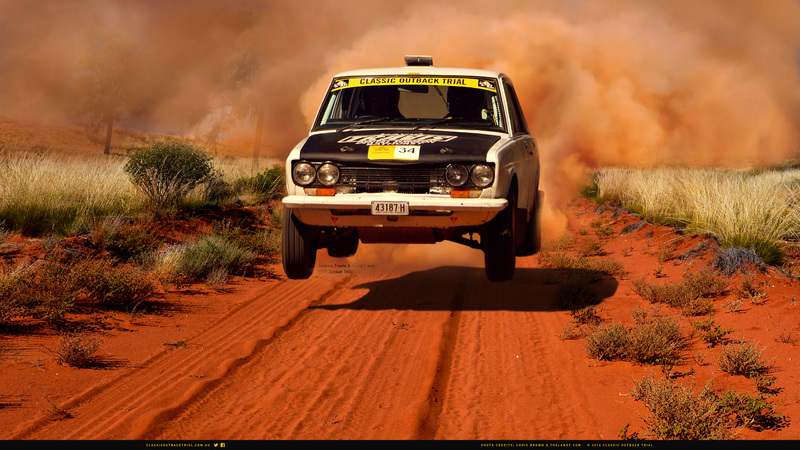 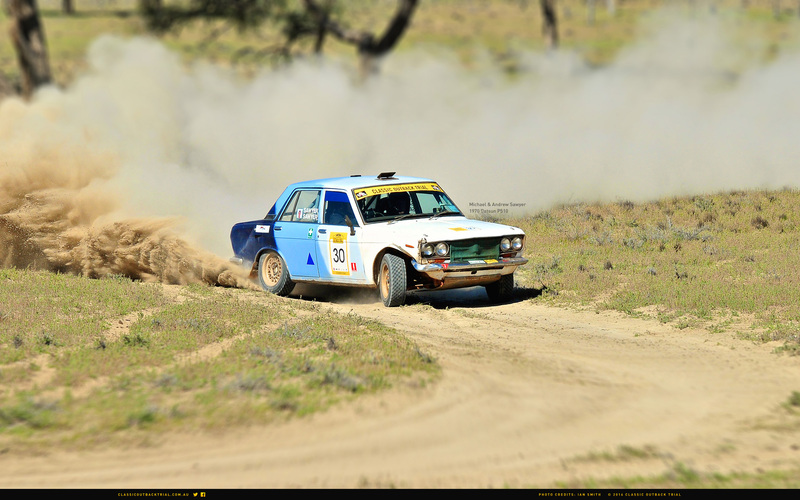 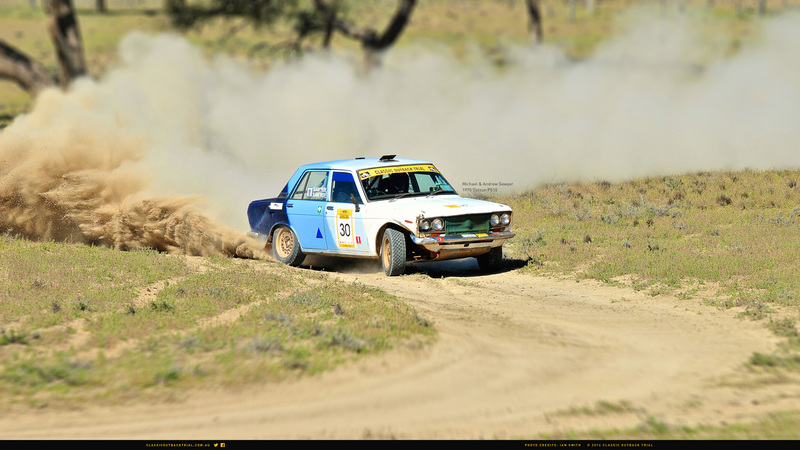 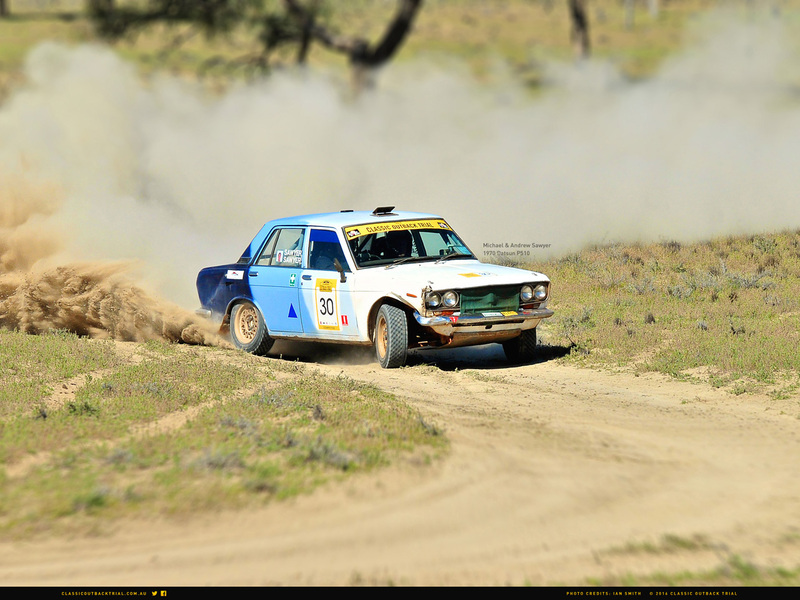 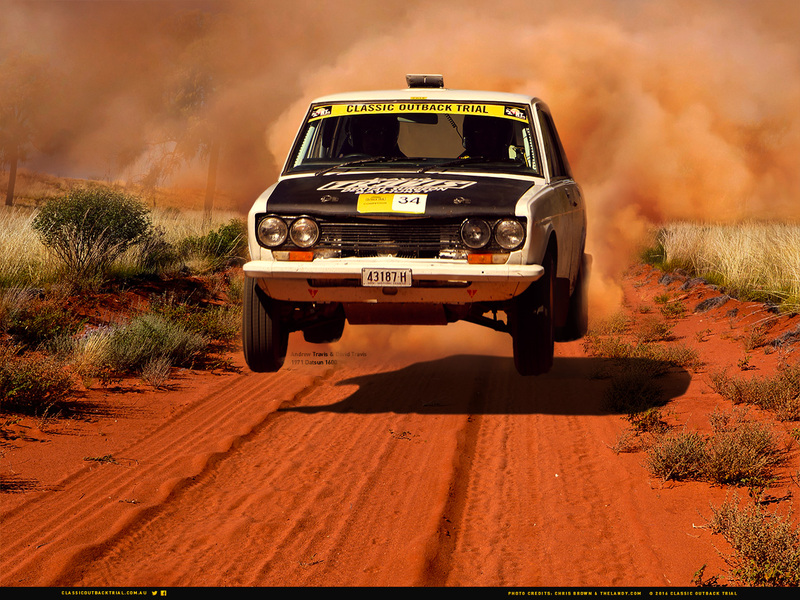 Our February wallpaper features COT regulars, Andy Crane and Dave Anderson in their flying 1970 Peugeot 504 on day 3 of the 2014 Classic Outback Trial near Ivanhoe NSW. 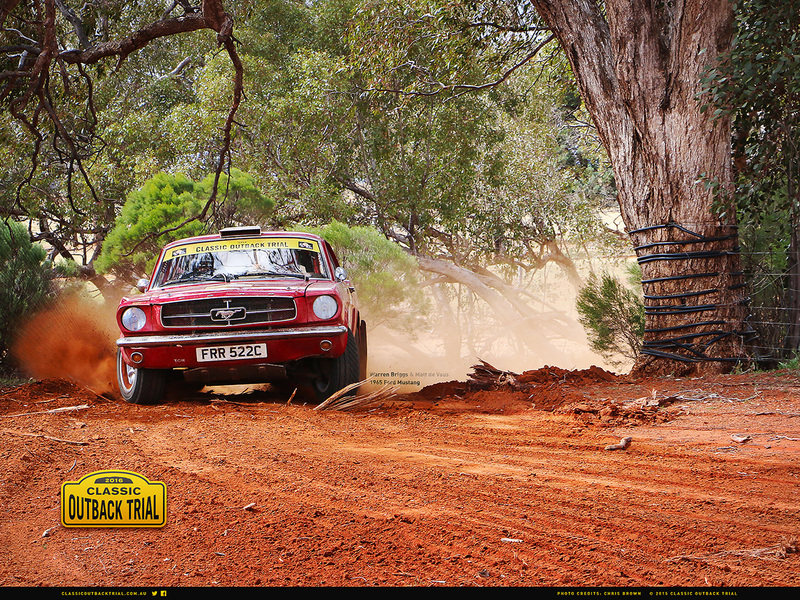 Photo credit Ian Smith; creative by Antony Bernadou. 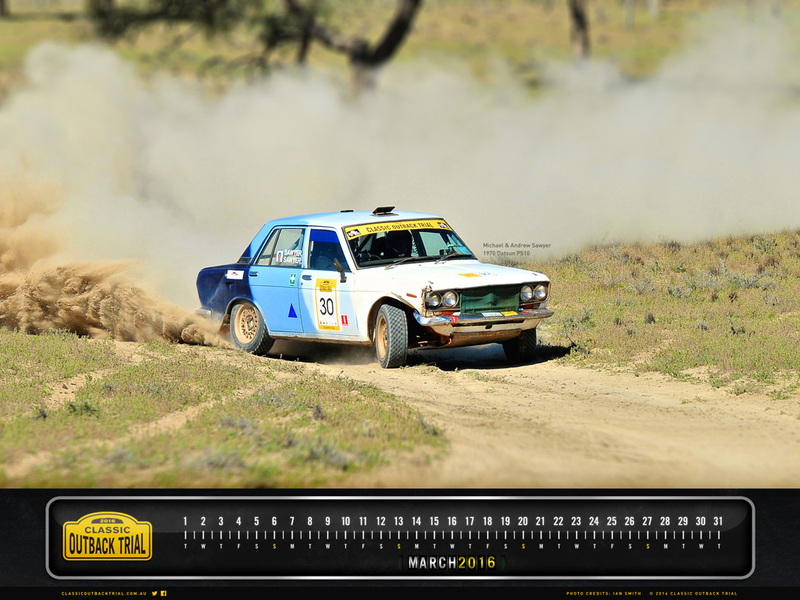 Start 2016 with the COT14 winners, Andrew and David Travis and their Datsun 1600, on your desktop. 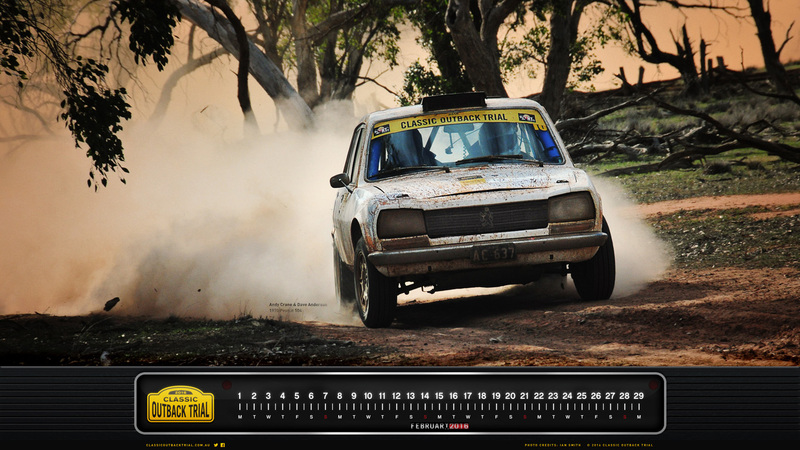 Datto pic taken in the COT14 prologue by Chris Brown, outback pic by thelandy.com, plus (lots of) creative by Antony Bernadou. 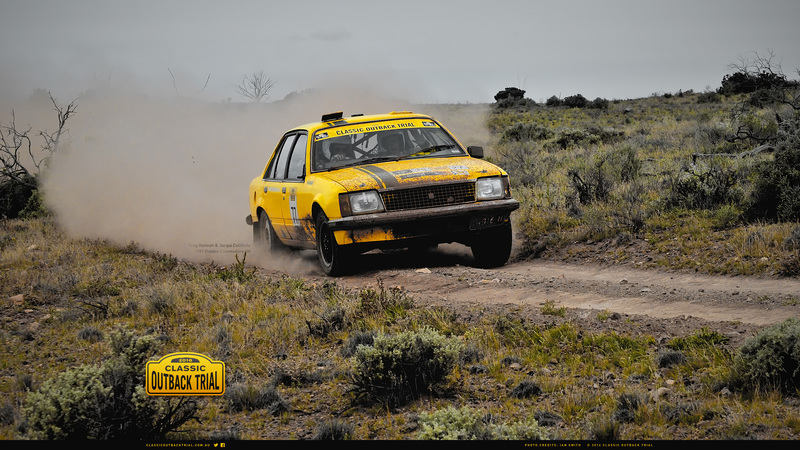 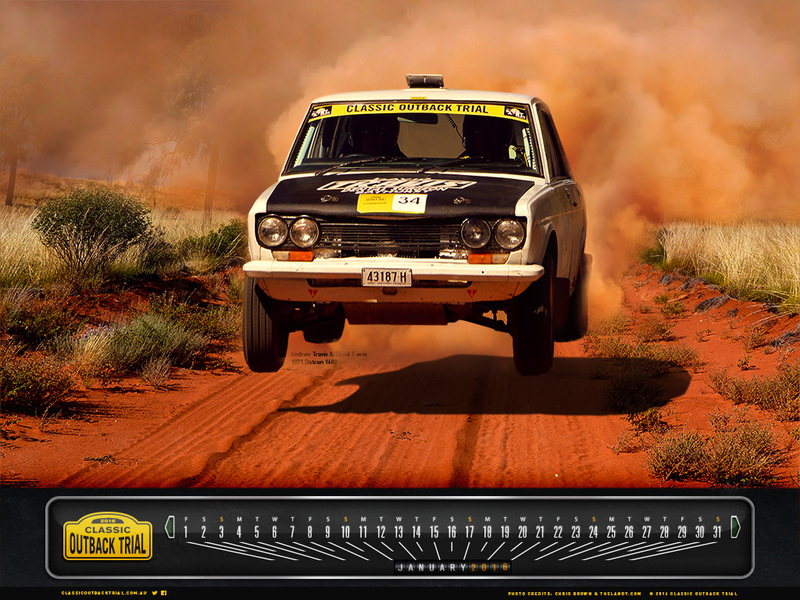 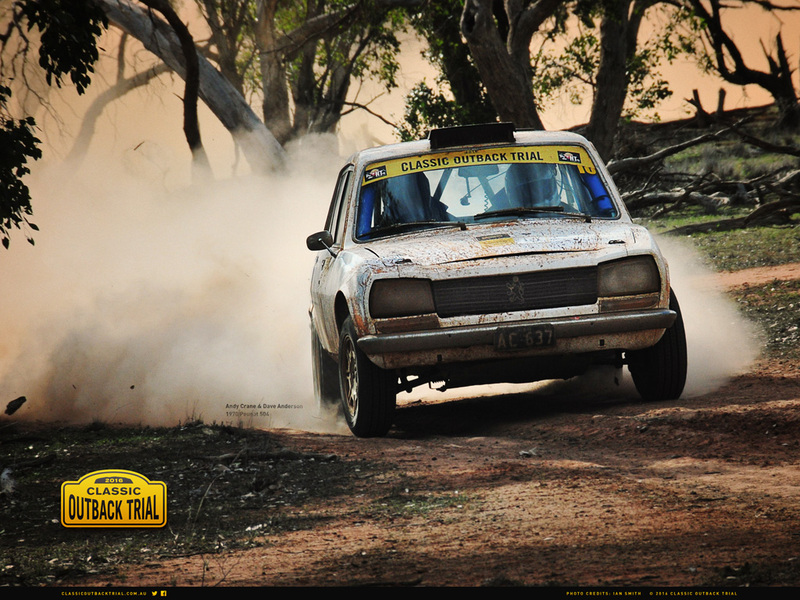 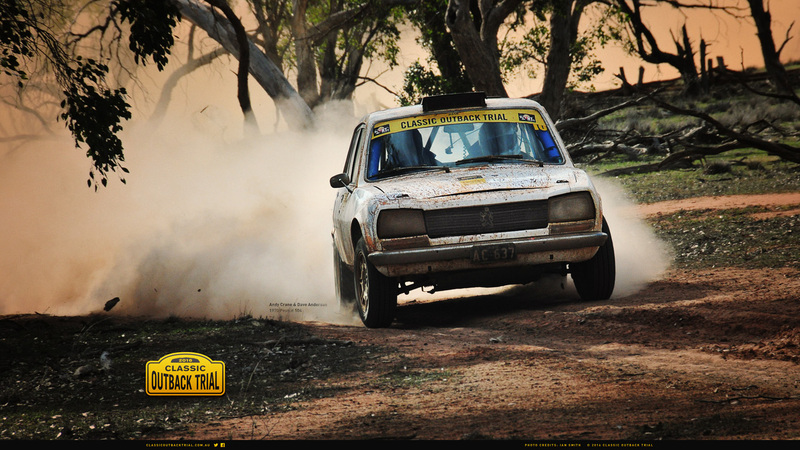 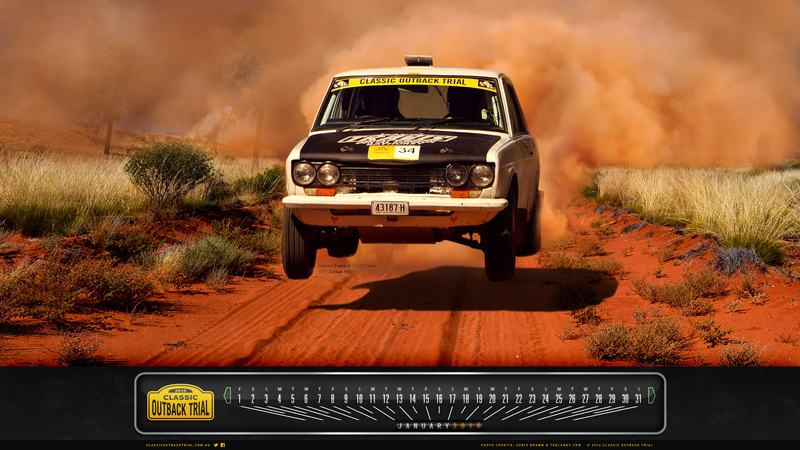 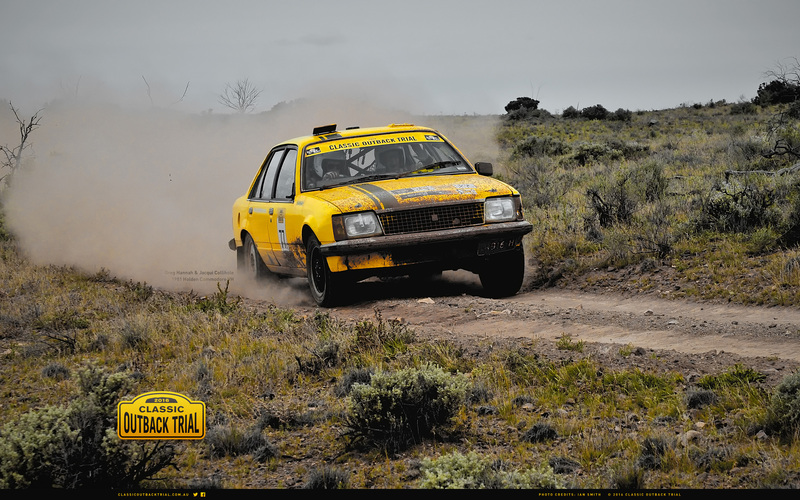 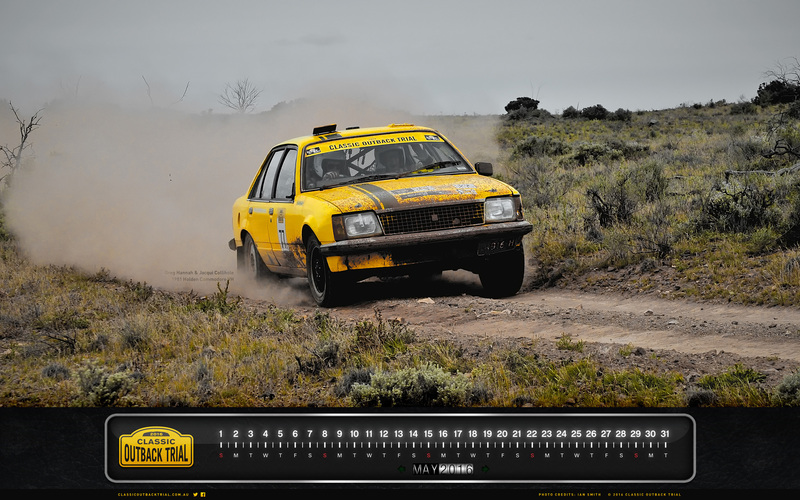 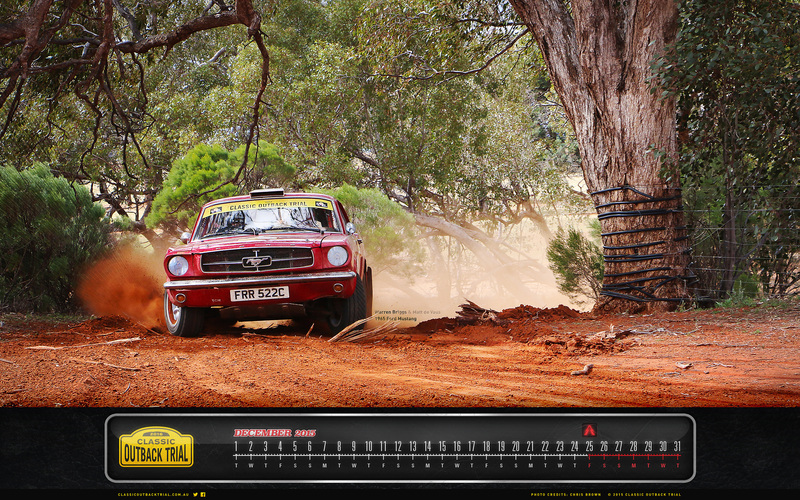 Our December wallpaper calendar features Warren Briggs and Matt de Vaus on day 2 of the 2014 Classic Outback Trial. Pictures by Chris Brown, creative by Antony Bernadou. 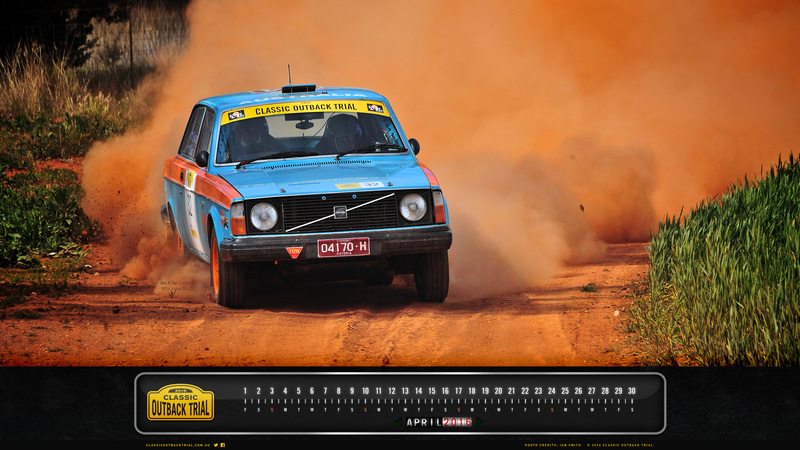 Use a calendar or a wallpaper to dress up your desktop and get in the mood in the lead up to COT16. 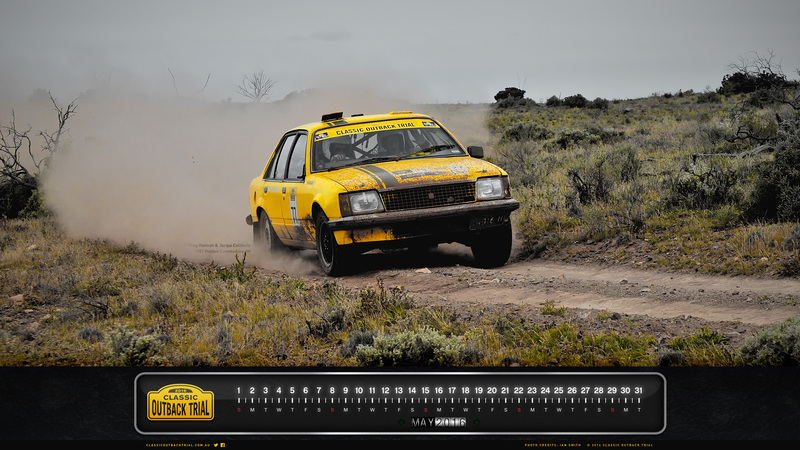 Click on a link to open the image size you need.